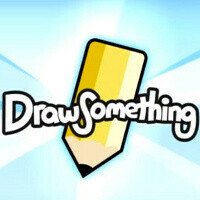 When OMGPOP launched its DrawSomething social game for iOS, it probably never expected it to grow so quickly in so little time. The application that has you drawing things others have to guess, surged past 20 million downloads in the mere five weeks since it was made available on the App Store. The 20 million users (12 million active users) it has now mean that it’s more popular than three-year old Foursquare and closing the gap on the extremely successful Instagram. People love it - over the weekend users drew 3,000 pictures every second, adding in so the app can now brag with a billion pictures drawn in its short history. Part of the reason for the mushrooming growth is the fact that this is a 2-player game, so many who liked the idea probably shared it with friends who also downloaded the app. Plus, celebrity endorsement from Miley Cyrus could have also helped. Game developer OMGPOP, makers of the DrawSomething game, are using a freemium ad monetization model which rakes in six figure profits. Not bad for a relatively new game, is it? These ideas for apps make me shake my fist that I didn't try to implement them first. This game has been around the yahoo games portal for years. Now only if I can be the first to develop an app that shows all possible words after plugging in your letters in Words With Friends. Those cheaters would buy it up in a flash. Honor code people, nobody do work on this. This game is so much fun! I am getting bored though now that I have all the colors and am repeating what I have been drawing. Everyone at my school plays it, 3 of my teachers have been playing it on their iPad or iPhones during class. It's so fun. "Plus, celebrity endorsement from Miley Cyrus could have also helped." is that supposed to be a joke? However you dont have to do it mulitple times a day for 30 people you can play with 1 person every 3 days so it may be that its just not for you.